Woodlanders is a great nursery that focuses on rare and exotic plants. 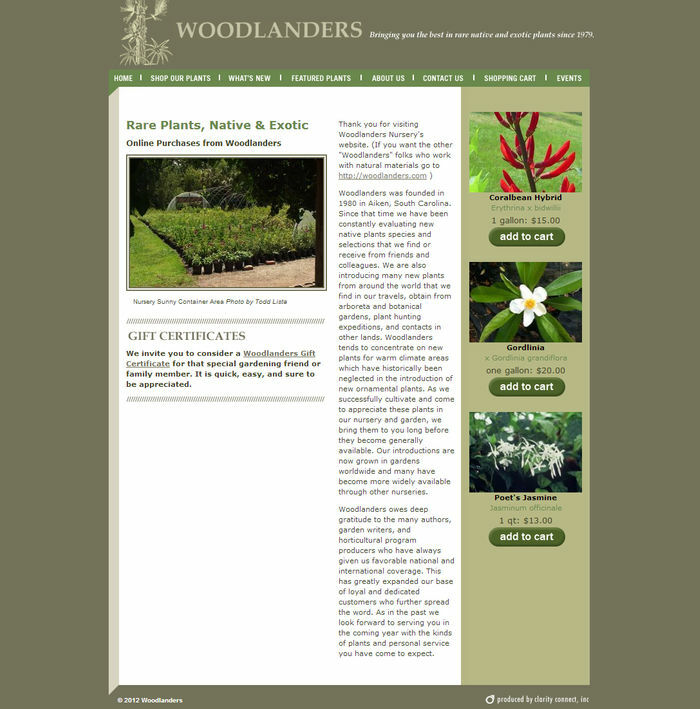 Woodlanders uses the Clarity Console content management systems to keep their site current and to update availability and offer new and featured plants to their online customers. 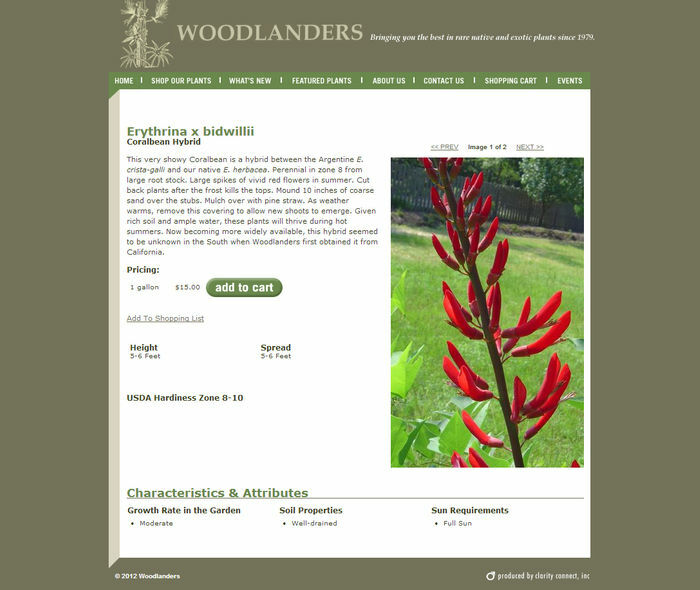 They also use our Catalog Wizard to create their print catalog straight from the plant database.